The storybook history of the American West is a male-dominated narrative of drifters, dreamers, hucksters, and heroes—a tale that relegates women, assuming they appear at all, to the distant background. 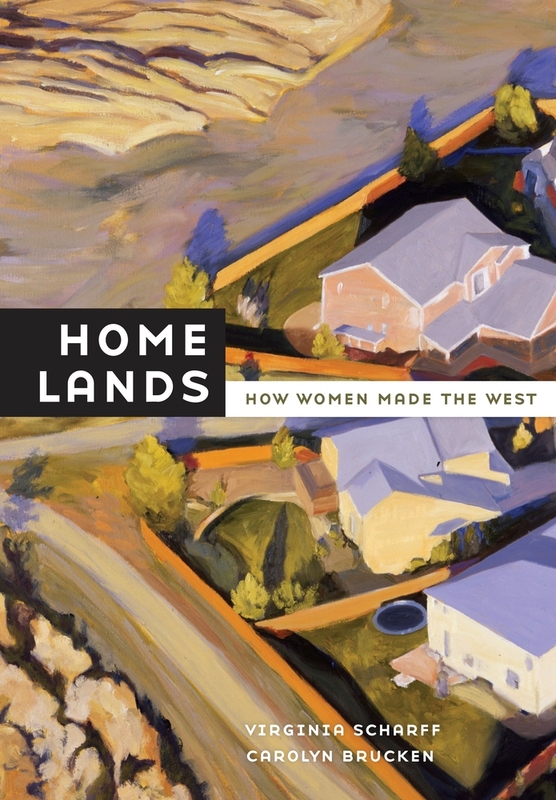 Home Lands: How Women Made the West upends this view to remember the West as a place of homes and habitations brought into being by the women who lived there. Virginia Scharff and Carolyn Brucken consider history’s long span as they explore the ways in which women encountered and transformed three different archetypal Western landscapes: the Rio Arriba of northern New Mexico, the Front Range of Colorado, and the Puget Sound waterscape. This beautiful book, companion volume to the Autry National Center’s pathbreaking exhibit, is a brilliant aggregate of women’s history, the history of the American West, and studies in material culture. While linking each of these places’ peoples to one another over hundreds, even thousands, of years, Home Lands vividly reimagines the West as a setting in which home has been created out of differing notions of dwelling and family and differing concepts of property, community, and history. Virginia Scharff is Professor of History at the University of New Mexico, Women of the West Chair at the Autry National Center's Institute for the Study of the American West, and President of the Western History Association. Her many books include Taking the Wheel, Twenty Thousand Roads, and Seeing Nature through Gender. Carolyn Brucken is Curator of Western Women's History at the Autry National Center. Postscript: How Will We Make the West?